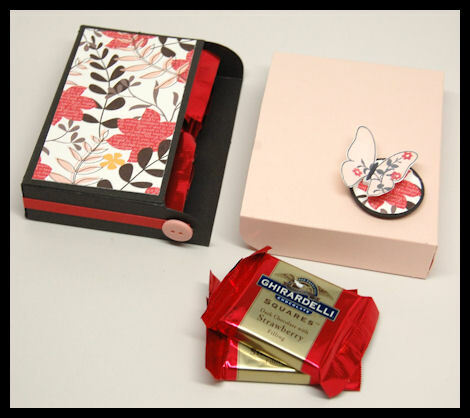 Welcome back for another day of great gift ideas using our latest products from the April Release! Our guest this month is Amy Sheffer! Be sure to pay them a visit, and prepare to be inspired! Yesterday I shared a post about “re-purposing”. Well, I am back again with another way to repurpose the Keep It template! This time I am using the front pocket file, all by it’s lonesome, to show you how it too can become a fabulous template. This took literally under 15 minutes to make. I printed my NEW! Fresh Cut Expressions Pretty Printables Digital Paper for the simple side panel. I didn’t need to do much to make this project fab! The NEW! Fresh Cut Expressions Pretty Printables Digital Paper did all the hard work for me. 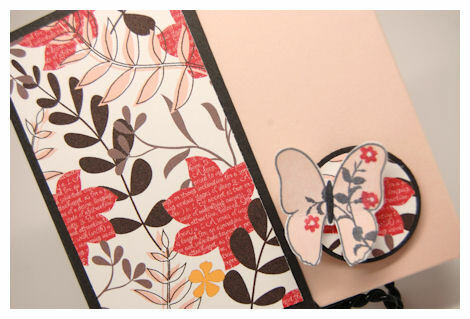 I stamped the All A Flutter butterfly outline in gray, on my white cardstock. 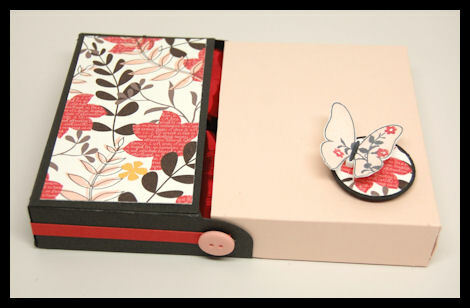 I used my pale pink ink and stamped the solid butterfly image inside. 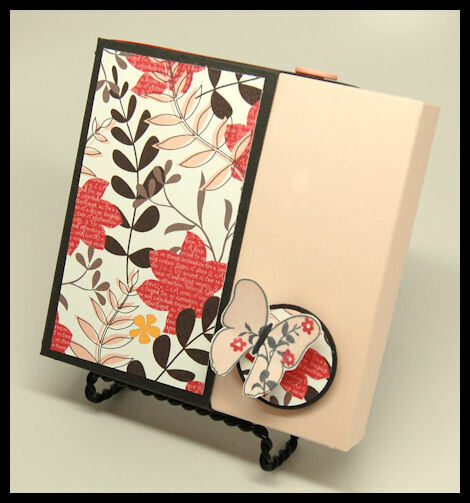 I then took one of the silhouette images from Occasional Labels ©, and stamped it on my butterfly! I love the versatility of the All A Flutter set 😀 I had cut it with the Flutters and Flowers © Cut File. 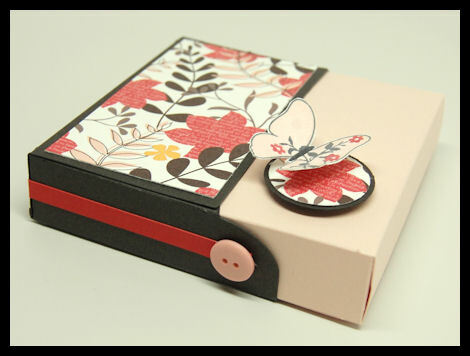 I loved decorating the rounded tab piece from the pocket, using a button, and a little strip of cardstock, all the way around the box, for some simple WOW! Factor. So after looking at this, can you guess how this was made? 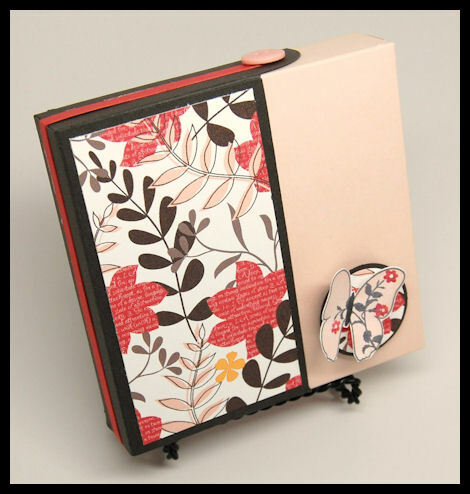 All I did was create 2 of the front pocket templates, one in smokey gray, and the other in a pale pink. 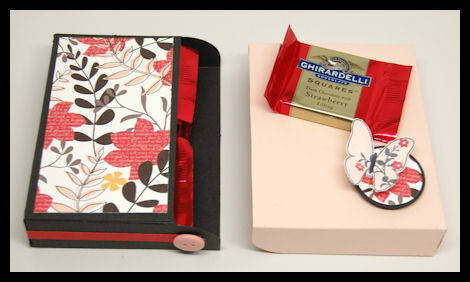 Inside I packaged up 8 Ghirardelli Strawberry Chocolate Squares. Well I will plan on seeing YOU back HERE tomorrow for MORE ideas as we all share in a group post!